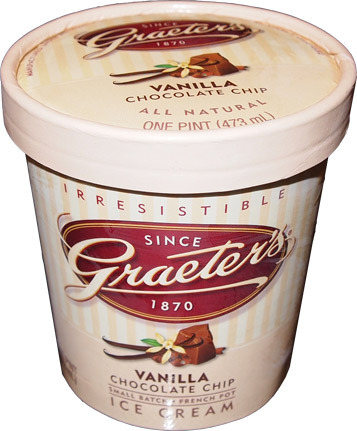 After stumbling on black raspberry chip and chocolate chocolate chip, I picked myself back up and fell in love with Graeter's after experiencing the excellence that is their plain vanilla flavor. I finally realized why people are crazy about this stuff. The question is, have I grown enough to appreciate their Vanilla Chocolate Chip flavor? 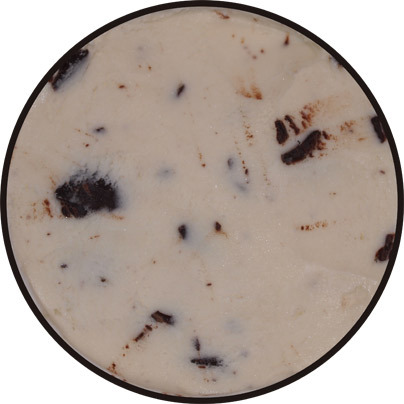 Well, the white vanilla certainly is a nice backdrop to make those chocolate chunks pop out at you. Check out super giganto slab of chocolate! Keep in mind this isn't a stiff chocolate, instead it has a bit of give to it. It's more of a chew than a crunch really, and a chunk this big, well, it'll tide you over for awhile. So, is this as good as the vanilla? Honestly? I like the plain better. There is something just simple and fantastic about the vanilla. 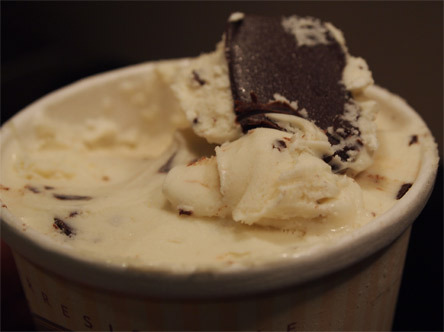 Here, I think the chips mess with the base ice cream. I think somehow a tiny water barrier forms around the chewy chocolate chunks and so rather than focusing on the pure vanilla base, you get these tiny watery interruptions. I know I'm being picky, and probably most people don't notice, but I can't help that I notice. The french pot process is wonderful, I would just prefer to enjoy it rather than be distracted from it.